After serving the Clear Lake community for 20 years, Center of Reproductive Medicine has opened its doors in Houston to care for patients in the surrounding areas. "...This expansion is best in order to better serve our patients and provide a great option for fertility services in the Medical Center,” said Vicki Schnell, MD, Medical Director of CORM. 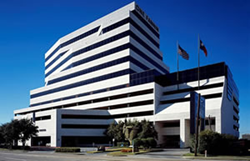 Center of Reproductive Medicine (CORM) announces its new office opening at 7400 Fannin Street, Suite 1180, Houston, TX 77054 to best serve fertility patients in Houston and its surrounding communities. The newly designed office will offer patients full diagnosis and treatment of infertility, along with a veteran staff, to provide quality care. This office will join its other two locations in Beaumont and Clear Lake--which has been established for twenty-one years. “Patients have been coming from all over Houston and Katy to our Clear Lake office, so we feel this expansion is best in order to better serve our patients and provide a great option for fertility services in the Medical Center,” said Vicki Schnell, MD, Medical Director of CORM. “We are excited to be able to bring our patient-centered care, excellent success rates and competitive costs to the Houston area, said John R. Crochet, Jr., Director of Third Party Reproduction at CORM. Appointments are now being scheduled for the Houston office. To schedule a new patient appointment, please call 281-332-0073. Established in 1993, Center of Reproductive Medicine (CORM) is a privately-owned company located in Webster and Beaumont, TX. Their state-of-the-art facility includes a surgery suite and IVF lab that allows treatment of all fertility related diagnoses. With three fertility specialists, they have more than twenty five years combined experience and consistently rank high in fertility success rates in the area. Their donor egg program has been named number one in Texas for the past several years.